"Seinfeld" cast wishes dying man "Happy birthday"
"Seinfeld" might have signed off in 1998, but the show's actors were ready for a new project this fall: They sent a cancer patient named James Anthony Calder videos wishing him a happy birthday. Calder, who was dying from lung cancer, was supposed to celebrate his 67th birthday on Nov. 10, but died three days before on Nov. 7. He did, however, have the chance to watch warm video wishes sent from "Seinfeld" stars like Julia Louis-Dreyfus and Wayne Knight, who played Elaine Benes and Newman on the show, respectively. 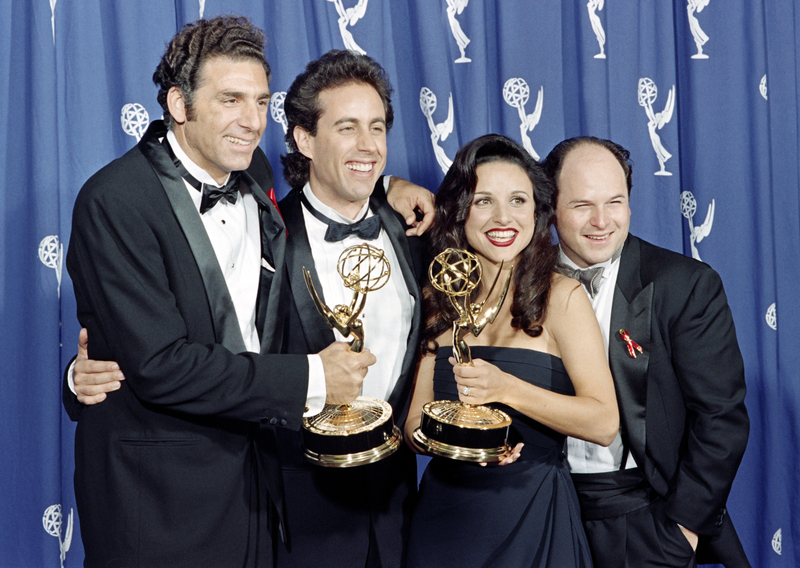 "Seinfeld" was one of the cancer patient's favorite shows. Calder's son, James, wrote on the Huffington Post about how he decided to make his dad's birthday extra special this year and reached out to several "Seinfeld" actors, asking them to submit videos of themselves saying, "Happy birthday, Jim" to his dad and also perhaps adding a line in character. John O'Hurley, who played J. Peterman, was the first to submit a birthday video, and then Larry Thomas, who portrayed the Soup Nazi, sent in a video where he shouted, "No cake for you!" The videos kept coming in, including actors who played roles like Walter at Peterman, Stu Chermack, David Puddy, Kenny Bania, Ping the delivery biker and many others. Some actors, like Michael Richards, who played Kramer, declined to send in a video but offered to wish the senior Calder a happy birthday over the phone. Others, like Jerry Stiller, who played Frank Costanza, sent in videos but asked for them to be private. The younger Calder said he was surprised to receive Louis-Dreyfus' video at the last minute, on the day before his father died. He said his father's condition was worsening, so the younger Calder and his mother decided to show his father the videos. "He received detrimental news which resulted in more Chemo treatments and then being admitted into the hospital," wrote Calder. "The day before he passed, my mom and I decided to start showing him the videos to lift his spirits. He was shocked and mystified about how we were able to reach the Seinfeld cast members. He really felt the love and support." Later, Calder said that after his father died, his wife and daughter went home while he and his mother stayed behind. When Calder's wife turned on the TV, his father's favorite "Seinfeld" episode was on; Calder said he takes it as a sign from his father. Watch all of the videos at Calder's YouTube channel.